A major new epic feature film on the lives of St. Clare and St. Francis of Assisi shot on location in Italy by the Italian film company Lux Vide, the producers of Saint Rita, Pope John Paul II and St. John Bosco. 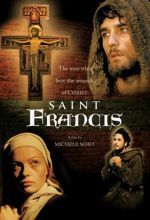 This outstanding movie is unique among films on St. Francis because of the historical accuracy of the story and its authentic spirit of joy and piety Francis was known for, as well as the major role played by Clare who is given equal stature with Francis. The two leads are played by very appealing performers, Mary Petruolo and Ettore Bassi, who give genuinely inspiring and beautifully moving performances of the daughter of a patrician family and the son of a rich merchant who leave all to follow Christ. Francis renounces his inheritance of wealth to live the Gospel and serve the poor and outcasts. 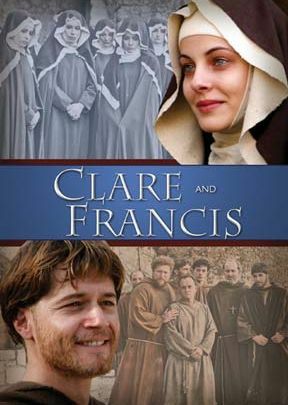 Clare reads deep into his heart and decides to follow him, leaving her home and family to give herself as the bride of Christ. Both found major religious orders and together they inspire many to follow their radical call to live the Gospel, and their impact has even reached across the centuries to change the world.